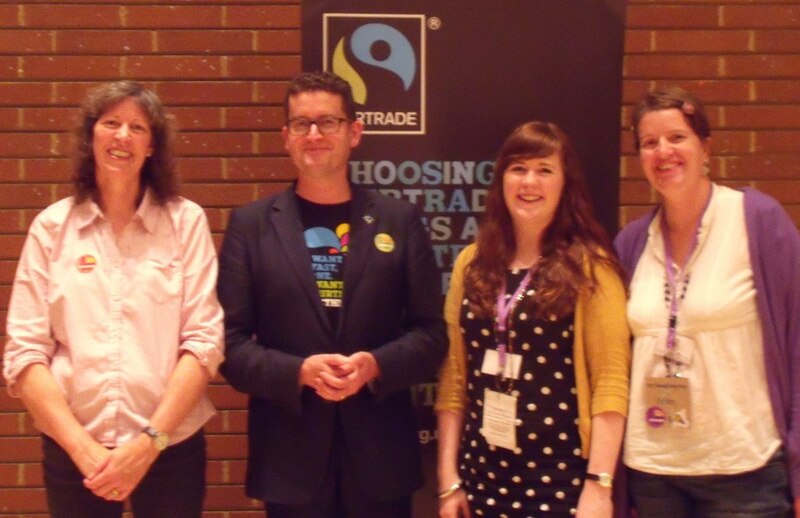 Helen Robinson of Fair and Funky (a Fair Trade not for profit business based in Holmfirth) visited the national Fairtrade conference, all the way down in London. Pictured here are Karen Palframan of Fairtrade Bradford, Mike Gidney (CEO of the Fairtrade Foundation) and Sophie and Helen of Fair and Funky. 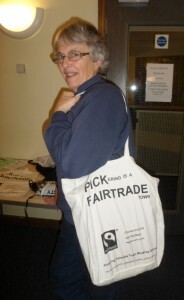 Fairtrade Pickering’s Annual General meeting, at the Memorial Hall, was well attended . The annual report listed the many achievements of the group during the past year, including the successful One World Week event which will be repeated again this year. 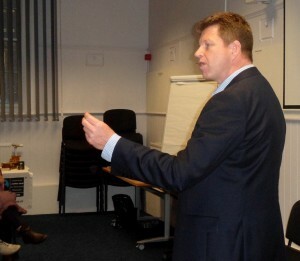 Guest speakers were Fairtrade Yorkshire Coordinator, Mark Dawson, and Janice Gwilliam of Fairtrade Malton and Norton. There were plenty of questions for the duo and the lively evening was rounded with Fairtrade refreshments and delicious cakes. 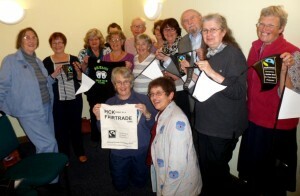 Fair trade activists gathered at the Priory Street Centre, for the York Fair Trade Forum Annual General Meeting. A full team of enthusiastic candidates was elected, to help run the group and its many activities that take place across the city. Helen Harrison gave an annual report which highlighted the thriving nature of the group. Guest speaker, Professor Bob Doherty, of the University of York Business school, praised the role of grassroots activists in the Fair Trade movement. 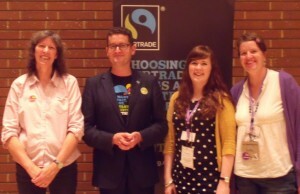 “The best presentation I have ever seen,” was the response from the Fairtrade Foundation’s Education Campaigns Manager, Kate Jones after watching a Leeds’ school present on how they became a Fairtrade School. Six children from Otley All Saints school wowed Kate Jones with their visual and humorous presentation which gave lots of examples of the activities the children have been involved in to raise awareness of Fairtrade. 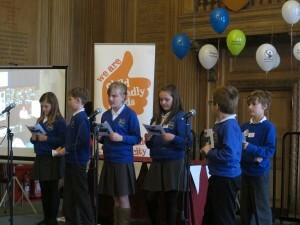 The presentation was part of the Global Fairness School celebration at Leeds Civic Hall on October 18th, which was opened by Deputy Director of Children’s Services at Leeds City Council, Paul Brennan. Mr Brennan used his speech to promote Leeds Child Friendly City initiative by drawing parallels between Martin Luther King’s “I have a dream” speech to the struggle for all children to access their rights today. Other workshops were delivered by theatre company Blah Blah Blah on freedom from slavery, Just Trading Scotland on the 90kg rice challenge, YMCA on Ugandan street children and Leeds DEC on ethical trade and modern day slavery. “I’ve got lots of ideas to do a Fair trade day at school” remarked one 9 year old participant. Based on Chasmogamous from Free WordPress Themes.